Mr. Webb has defined it in the following words, "It is a continuous of wage earners for the purpose of maintaining or improving the conditions of their employment." The ordinance allows the workers and employers to establish or join the associations of their own choice. 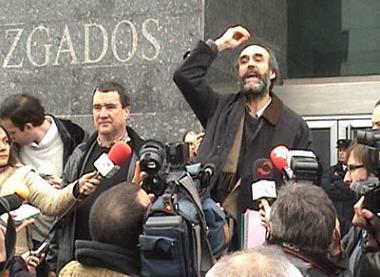 Trade unions have a right to frame the rules and constitutions to organize their activities. An individual worker bargaining power is very poor as compared to the employer. In a collective bargaining trade union proves itself very strong. Trade union ensures the better conditions of work in the industry. It can bargain about the working hours, holidays, bonus, health, medical, education and residential facilities for the workers. It also guides the workers about their rights and duties. Trade Unions also use the weapon of strikes to achieve their goals. For the registration of trade union constitution is an important document on which the following formalities should be fulfilled. If any trade union wants to be registered it should submit an application for registration signed by the president and secretary. It is necessary that name and address of trade union where it exist should be written in application. All those objects should be written in the application for which the union has been organized. All those purposes should be mentioned for which the funds will be utilized. The members of the executive body should be declared and these should be according to the prescribed limit of the act. All those conditions should be clear in the constitution according to which one person is entitled to receive any benefit. List of trade unions members and facilities provided to them must be maintained. All the funds of trade union must be in the safe custody. There should be an adequate facilities for the inspection and annual audit. Members and officers of the unions may be able to check the account of books. In the constitutions dissolution process must be explained. Process of electing the officer by the general body of trade union must be clear. Term for the office holder may not exceed more than two years. To procedure of expressing the confidence in any officer of trade union should also clear. It is also the requirement for the registration of trade unions that meetings of executive body of the trade union should be held at least once in every three month and general body at least once in year. The above requirements are necessary for the registration of the trade union. Industrial law grant the right of association to the workers and employers. They can make or join any union without any permission from the government. They may also frame their construction. They can elect their representatives and they are also free to join and federation. They may also join the international organizations of workers. In case of registration of trade unions some families are required otherwise there is no need. The main objective of the industrial law is to provide the chance of collective bargaining to the workers because the individual bargaining power is very poor. Due to this they are unable to receive the proper reward of their services. The important feature of industrial law is to improve the service conditions of the workers. 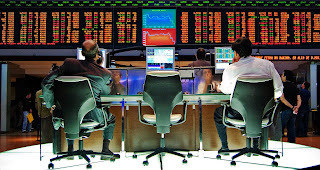 It improves the financial condition of the workers and provides security. Industrial law also solves the grievances of the workers. The law also provides for setting up of a permanent quasi-judicial national industrial relation commission to solve the labour and management problems. Under some conditions industrial law provides an authority to the workers to appoint an auditor who would be paid by the management. According to law upto fifty percent representatives of the workers will be associated with the management. At the lowest level law introduces the system of shop steward will work as a link between the workers and management. He will explain the workers point of view to the management. In the industrial law it is declared that no any party ( employer and worker ) can indulge itself in the unfair practices. Unrest in the industry is very harmful for the economy. So the new provision of law also provide the peaceful conditions in the factory. These are disciplining the trade unions and workers t perform their duties in various sectors. Under the provision of law it is the important function of registrar to determine that which trade unions is entitled for registration as an agent of collective bargaining. 2. Ordinance factory maintained by the central government. 3. Administration of the state. Any person or body of persons or managing agent of an employer or legal representative of the employer with whom the workman has entered into contract of service or apprenticeship is called employer. In other words we can say a person by whom an employee is employed. A person who is appointed by the mutual consent of both the parties to a dispute for the purpose of investigation and settlement of the dispute is called arbitrator. 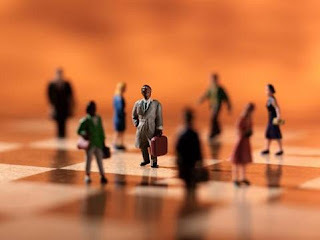 According act, any person appointed or acting as the representative of another person for the purpose of carrying on such other person business or trade is called managing agent. If the disablement has a temporary nature. 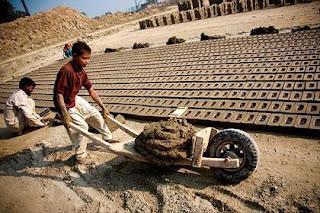 It will reduce the earning capacity of a workman. In the other hand if disablement has a permanent nature, it will reduce the earning capacity of the worker for ever. Such disablement reduces his earning capacity in every employment which he was capable of undertaking at the time of accident. It makes the workman completely disable from all work which he was performing at the time of accident. Permanent total disablement means the total loss of both legs or both hands or both eyes. He is appointed by the govt. for the purpose of solving the dispute between the trade union and employer making all possible efforts to persuade both the parties to come to a settlement without adopting the legal course of referring the dispute to the labour court. An unlooked for mishaps or event which is not expected or designed by the injured person. Any injury by accident means any injury not expected or designed by the injury workman himself, irrespective of whether or not it was brought about by the wilful act of some one else. Sometimes during the course of conciliation proceeding employer and his workmen arrive at the agreement and settle the dispute in the absence of conciliator, it is called settlement. The agreement is in writing and signed by the parties. Its copy is forwarded to the conciliator. According to industrial act, industrial dispute means any dispute or difference between employers and employees or between the workers themselves or the terms of employment or the conditions of work of any person. It means closing of place of employment or it means to suspend the work. The work is suspended by the employer. It may be the refusal of the employer to continue the employment of the work. 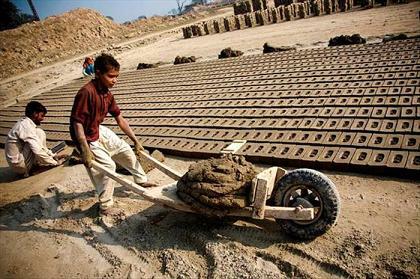 This work may be suspended due to industrial dispute or to compel the workers to accept the terms and conditions of employment. Sometimes the employer suspends the work to support the other employers. It means a close of work by a body of persons where employed in in establishment. They also work in combination and refuse to work under a common understanding. They do strike for the acceptance of their terms and conditions of their employment. It means an agreement in writing intended to specify the conditions of employment. Generally agreement takes place between the authorized representatives. Any industrial unit, shop, office or form where workmen are employed for the purpose of carrying any industry is called establishment. It means the orders contained in the schedule read with such modifications if any, as may be made in pursuance of the provisions. Any business, trade, employment, occupation, service and manufacturing is called industry. Award means an interim or a final determination of any industrial disputes or of any question relating to these by any labour court, industrial tribunal or by the arbitrator. Any person who is employed in an industry r in an establishment for hire or reward either directly or through contract, whether the terms are expressed or implied. The carrier must deliver the ticket to the passenger in which place, date of issue departure and destination must be declared. The carrier must deliver a luggage ticket to the passenger before the boards in the craft. Luggage ticket must contain the particulars like, weight, numbers and value of packages. The statement, that the delivery of the luggage will made to the bearer of the luggage ticket. The airway bill shall be made by the consignor in three original parts and be handed over with the cargo. Every carrier of cargo has a right to demand the airway bill from the consignor. This bill indicates the places of departure and destination. It also contains the names of both the parties, the number of goods , the weight and number of packages . Any other information selected to goods must be attached with it. This bill is an evidence of the conclusion of contract about the receipt and condition of goods. The consignor has the right to dispose of the cargo by with drawing in at the departure airport or destination or stop it at any landing. The consignee has the right to receive the notice about the cargo arrived. 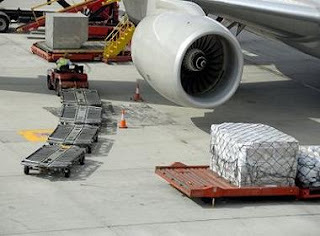 He has the right to get the delivery of cargo according the conditions of Air bill. Consignee has also the right to enforce against the carrier if the cargo may have not arrived after the expiration of seven days from the date. 1. 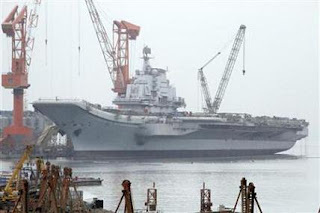 The carrier is liable to pay damages as may be sustained in the event of destruction of loss of cargo which took place during the carriage by air. 2. The carrier is also liable to pay damages occurred by delay in the carriage of cargo of cargo of passengers. 3. The carrier is responsible to any damage as may be sustained in the event of death or injury of passenger on board. The complaint should be made to the carrier with in seven days after the discovery of damage of receipt. In case of cargo with in 14 days. In case of delay with in 21 days. Complaint must be made in writing. In case of death or injury of passenger suit may be filed against the carrier, during which the accident occurred. In case of loss or damage of cargo suit can be filed against the last carrier. 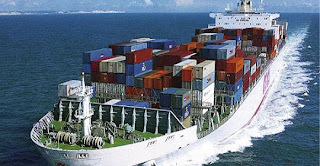 It is the duty of the shipping company that before the departure of a ship it should check the fitness of ship. It should be properly managed by the qualified staff. All the parts of the ship must be checked. It is the duty of the incharge of the ship that he should issue the bill of lading after the receipt of goods. During the voyage, it is the duty of the ship master to take reasonable care of the goods. 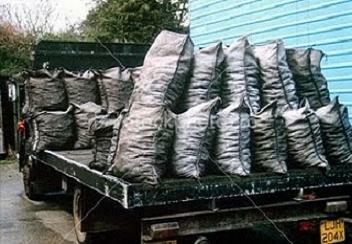 If the loss occurs due to the negligence of the shipping company to the goods delivered for carriage. The shipping company is liable for that damage or loss. In case of loss and damages the shipping company is liable if the suits for recovery of loss is brought with in one year. After a one year no suit can be brought against the shipping company. Generally shipping company is liable for the prescribed value liability. But sometimes both the parties agree for maximum value liability. In this case company is liable for that maximum value fixed by the parties. The shipping company is not liable for any loss or damage of such goods whose value is not declared by the owner of goods. The carrier cannot be held responsible if the shipper has not declared the nature of goods. Sometimes goods are dangerous or perishable nature if these are destroyed during loading or unloading the liability do not fall on the shipping company. Shipping company is not liable of any loss or damages if the shipper has misstated the value of goods. Charter party : Charter party is a contract between the ship owner and shipper about hiring the ship. Bill of Lading : Bill of lading is an evidence of receiving the goods. Charter party : Charter party is not transferable. Bill of Lading : A bill of lading can be transferred by endorsement and delivery. Charter party : Charter party is not a document which declares the title of the goods. Bill of Lading : A bill of lading is a document which declares the title to the goods specified. Charter party : A charter party is not drawn in sets. Bill of Lading : A bill of lading is drawn in these sets. Charter party : A charter party may be for amount to a lease of the ship. Bill of Lading : Such type of intention is not conveyed in the bill of lading. Charter party : A charter party may be for the particular voyage. Bill of Lading : A bill of lading is related with the particular destination. Charter party : In case of charter party the freight is usually paid when the ship reaches to the port. Bill of Lading : The freight is to be paid in advance, in case of bill of lading. 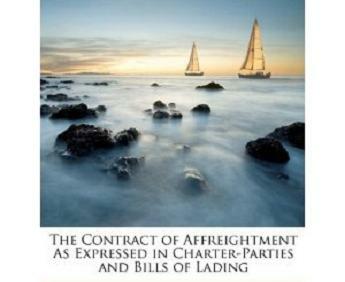 A contract of affreightment means a contract for the carriage of goods by sea. The word "Affreightment" means to hire a ship. It is a contract between the shipper and the shipping company. In this contract shipper agrees to hire the ship at settled price. This price is called affreight. 1. Contract by Charter Party. 2. Contract by Bill of Lading. It is called voyage charter when ship is hired for any particular voyage. In this case freight is calculated keeping in view the distance and quantity of goods. If any shipper hires the ship specified period of time is called time charter. In this case, freight is calculated keeping in view the specified time period for which the ship is hired. A shipper hires the whole ship and possession comes to his control for a particular period. The captain and staff becomes the servant of the shipper. It is called "Charter by demise." In this case when a shipper hires the ship but the control and possession does not come in his hand. The captain and crew of the ship are also not his servant, it is called charter without demise. The shipper and the owner of the ship names. addresses and other particulars are included in the charter party. The flag and nationality of ship must be written in the charter party. The name of all those ports will be written in it form where the goods will be loaded and unloaded. The voyage will be also mentioned in the charter party. Charter party also contains the date of departure arrival and also the location. 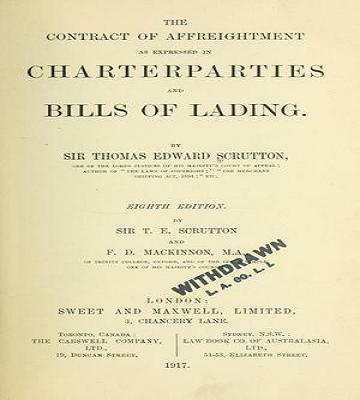 The weight and volume of goods which will be carried is also mentioned in the charter party. In the charter party the freight fixed by both the parties is also mentioned. The procedure of payment is also included in it. It is also declared in it that under which circumstances contract shall be considered cancelled. In case of breach of contract penalties and liabilities are also mentioned in it. Charter party also contains the duties of the captain and master of the ship. It is also the statement that a ship will load and unload the lawful goods on all the ports. It is a document which is issued by the shipping company after receiving the goods for carriage. After the issuance of this bill the owner of the ship will be responsible for the safe delivery of goods to the consignee. A bill of lading is a receipt of goods shipped on board by the owner of a ship. After loading the goods on ship bill of lading is issued. The name and shipment of goods is included in this bill. The goods received from the shipper are examined by the incharge of the ship and if he is satisfied with the packing of the goods, then he writes "goods are in good order and good condition". It is called clean bill of lading. After the examining the goods if owner of the ship or incharge writes in the bill that goods are in " Bad condition" it is called qualified bill of lading. When the gods are loaded in two ships and freight is charged composite such bill is called as "through bill of lading". Sometimes goods are carried partly by ship and partly by land but freight is charged composite. In the bill of lading the names, addresses of the parties and ship by which goods are carried are written. It must be stamped and signed by the ship owner. 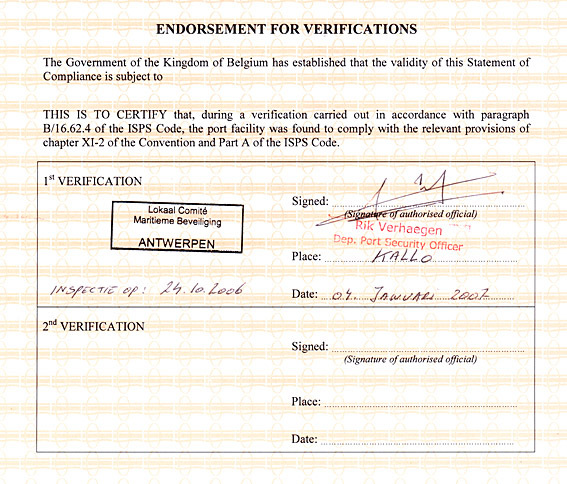 For the identification of goods lading marks are necessary. these are also stamped on the packing of good. The bill of lading contains these marks. A bill of lading also contains the condition of goods like good or bad. All types of necessary information's about the quality and quantity of goods are mentioned in the bill of lading. The bill of lading also contains the names of ports from where goods will be loaded, unloaded and ship will pass during its voyage. It is the main duty of the railway that it should carry the goods of passengers from one place to another who are ready to pay the changes. It is also the duty of the railway that it should take proper care of the goods as a man of ordinary prudence take care of his own goods. It is the duty of the railway administration that it should inform the sender of the goods about the packing and placement of goods, before acceptance. It is the duty of the carrier that it should deliver the goods according the time schedule of the contract. It is the duty of the railway carrier that it should deliver the goods to the right person and right station. If due to mistake these are delivered to any other person must be returned and delivered to the right person. In case of liabilities railway differs from the common carrier. The responsibility of the railway is like the bailee. Due to delay or detention in transit of any loss occurs then railway carrier will be liable for the loss. If railway servant has booked any luggage and has given receipt then railway carrier will be liable. Otherwise railway shall not be responsible for the loss or damage of luggage. If the goods or animals are delivered to wrong person by the railway administration then it will be liable for this loss. If any injury or death of any passenger takes place due to the negligence of the railway servant then railway carrier will be responsible. In case of valuable goods like gold, silver railway administration is not responsible in case of loss more than Rs. 10,000. If the nature and contents of packet has been declared in writing to the railway and extra charges have been also paid then railway will be responsible. In case of loss or damage railway liability is limited upto Rs. 15,000 for Horse and Rs. 1000 for dog. However, the railway may accept higher liability if the consignor declares a higher value and pays a higher freight. Railway is liable for loss or damage happened due to the negligence of the railway servant. In the following cases railway is not liable. i. An act of God. ii. Act of public enemies. iii. Arrest under legal process. After the expiry of free time of unloading transit terminates. After the termination of transit the liability of railway is seven days. In this case due to any reason a person dies in the train accident the railway is liable to party Rs. one lac. While Rs. ten thousand to the injured person. Due to railway accident if a person dies but he was not the passenger, he will be also paid one lac by the railway. In case of injury Rs. ten thousand will be paid. The railway administration will be liable if the goods are stolen while in its custody even without negligence. A common carrier has a right to charge a reasonable amount for his services. If the charges are not paid to him, he can refuse to deliver the goods until the payment is made. He has also right to demand advance payment before he accepts the goods. If the goods carried are in dangerous nature and cause any damage then common carrier has a right to recover such damage. A common carrier has right to sell the perishable goods after getting the instruction from the cosigner if consignee refuses to accept the delivery. Sometimes consignee refuses to accept the delivery. Due to this refusal he bears some expenses. These expenses can be recovered by the common carrier. He has also a right to limit his liability by the special contract with consignor. In some special cases he can also refuse to carry the goods. Sometimes a common carrier delivers the goods wrongfully to any person. He has a right to recover the goods or its value from that person. Sometimes consignor conceals the facts about the gods. Due to this common carrier suffers a loss. This loss can be recovered by him the consignor. It is the first duty of the common carrier that he should accept, the goods from any one who wants to employ him except in few special cases. It is the duty of the common carrier that he should carry the goods safely. In case of loss or damage he will be responsible. He should carry the goods by the general route. He should avoid to adopt the shortest route. H should treat like the ordinary circumstances. He should also obey the instructions of the sender the goods related to transportation. It is the duty of the common carrier that he should deliver the goods within the time expressed in the contract. He should also deliver the goods at a proper place mentioned in the contract. It is also the duty of the common carrier that should deliver the goods to the right person. Otherwise it will be held responsible. A common carrier is liable to pay all the loss caused by him to the goods or persons. But in some special cases like an act of God, and act of war, public enemies he will be not liable. If the delivery is not made to the right person carrier is liable for that loss. Due to negligence of the carrier if any passenger is injured then carrier will be liable for the loss. 1. He carries the goods as a regular business to earn money. 2. He carries the goods without any discrimination. 3. He declares schedule of service. 4. He cannot refuse to accept the goods without any reasonable cause. 5. He is governed by the carriers act. 1. He carries the goods occasionally. 2. He carries the goods of particular persons. 3. He has no schedule of service. 4. He has the option to accept or refuse to carry goods. 5. He is governed by the laws relating to bailment. A person who carries the goods occasionally or by a special agreement is called a private carrier. A private carrier is not a regular carrier. He carries the the gods under special agreements. He carries the goods occasionally. He performs his duties as a bailee. Example :- There are large number of firms which are supplying their product with their own trucks and vans. In Bombay the firms of Pepsi Cola supplies the bottles of Pepsi by their own trucks. It is an example of Private Carrier. If any person carries the goods or passengers without any reward or charge, it is called gratuitous carrier. No action can be taken against him if he refuses to accept the goods and passengers. On the other hand if he undertakes to carry the goods or passengers then he will be also responsible for the loss caused by him. A carrier is a person who agrees to carry goods or passengers from one place to another. Common carrier defines in the following words, "A person or an association r a body of persons other than the government engaged in the business of transporting of goods for hire by land on inland navigation for any one discriminate." A common carrier may be one person, a firm ,a company or association of persons. Railway being owned by the govt. can not be called a common carrier. If any carrier does not carry the goods regularly it is not called common carrier. To earn money a common carrier should carry the goods as a regular business. If the goods are transported from one place to another free of charge it is not a common carrier. It charges the fare for transporting the goods from one place to another. A common carrier provides the services of transportation to all the people. It cannot refuse any person without any reasonable cause. If it reserves the right of rejection then it cannot be called a common carrier. Only goods are carried by the common carrier. Passengers are not allowed. If it carriers passengers then it is not a common carrier. The act of common carrier does not apply by sea. The carriage must be made by land and inland through the carriage of goods by boats which sail in river or canal. Some times common carrier may refuse lawfully in the following cases. 1. If goods are not packed properly. 2. If reasonable charges are not paid. 3. If the goods are dangerous nature. 4. If there is no space in carrier. 5. If goods are tendered at an unreasonable time. It means the payment according to the apparent tenore of the instrument in good faith and without negligence to any person in possession. Those circumstances which do not effort a reasonable ground for believe payment amount mentioned in it. A promissory note or bill of exchange is dishonoured by non-payment, the holder usually hands it to Notary Public. The Notary Public notes the particulars of the bill. In this note he will write the cause of non acceptance with date and fee. Protesting :- A protest is a formal record of dishonour signed by the notary public and copy of the bill is also included in it. It is necessary to maintain the holders right against the drawer and the endorser. 1. Same copy of the document. 2. Holders name and address. 3. Place and date where it was presented. 4. Name and address who dishonoured. All the above proceeding should be when the document is dishonoured. It is defined in the following words, "When a bill of exchange has not been noted or protested for non acceptance or for better security and any person accepts it for the honour of drawer or any one of the endorsers such person is called an acceptor for honour." Acceptor for honour is liable for the payment if the bill is not paid. A holder of a bill of exchange has a right to take the legal action against the drawer if the drawee refuses to accept it. In some cases an holder can present the bill to the alternative drawee if actual drawee refuses to accept it. Such alternative drawee is known as drawee in case of need. 1. Document is in hand. 2. He is entitled to receive the amount written on the document. 3. He is entitled to sue against the refusal. 1. A holder in due course must have become a holder of the instrument before the date of its maturity. He must be entitled to transfer it. 2. He must be a holder for a valuable consideration. 3. He must be valid holder of the instrument. 4. He must be a holder of the instrument in good faith. 5. Amount of document will be payable on that date when it will be presented. 6. He should be entitled to sue in case of refusal of payment. 7. He must have taken instrument complete and regular on the face of it. Following are the important privileges which are enjoyed by the holder in due course. A holder in due course gets better title than the transferor while a holder cannot get a better title. Example :- Mr. Senha obtains an instrument by fraud he cannot sue it. If he transfers it to Mr. Nehra which make Mr. Nehra a holder in due course, Mr. Nehra can sue on the instrument. As the instrument passes through the hands of a holder in due course to the subsequent holders, it becomes free from all defects. In case of negotiable instrument all the prior parties are liable to the holder in due course until it is duly satisfied. The holder in due course has right to sue against any prior party. Any drawer, maker , or acceptor can not take the place of original invalidity of the instrument against the holder in due course. In this case if the original payee fills more amount than that was authorized, he cannot enforce the instrument for the whole amount. If this instrument is transferred to the holder in due course, he can claim the whole entered amount. In this case a holder in due course can claim the payment in his own name despite the payees incapacity to indorse the instrument. The bill is said to be fictitious when it is drawn in a fictitious name and is made payable to the drawer order. It is not a good bill but the acceptor of a such bill is liable to the holder in due course. When one instrument is delivered for special purpose an not for the transfer of ownership, this does not affect the holder in due course. If it is negotiated liable on the instruments shall remain liable to him. A cheque or a bill is endorsed when the transferer puts his signature on the back or on an along with a cheque and a bills as a part of negotiation. If the cheque is bearer it needs no endorsement. 1. It must be signed by the holder. 2. In case of illiterate, a thumb impression should be fixed. 3. It must be on the back of the cheque or bill or on an along of them. 4. It may be in ink, print or with a stamp. 5. Partial endorsement is not valid legally it must be of the entire value of the cheque or bill. 6. If the number of payee are more then one then all the payees will sign or that person who is authorized. 7. The endorsee can also add, the proper signatures if the endorse is not clear. 8. If the payee are more than two the endorsement should be in the same order which is opened down on the back of the bill. 9. It should be completed by the delivery. 10. The intention must be clearly expressed. If the endorsement makes the payment of a bill subject to the fulfillment of a condition the endorsement is called conditional. The bank or payee can disregard the condition and the payment will be considered valid. Example :- Mr. James holder of the bill , makes an endorsement on the bill saying, pay to Miss. Reema if she wins the match. If the endorser signs, but does not give his name to whom he wishes to transfer the cheque is called blank endorsement. Example :- Bill is payable to "Y" "Y" signs and endorses it without mentioning the name of the endorsee. It is a blank endorsement. 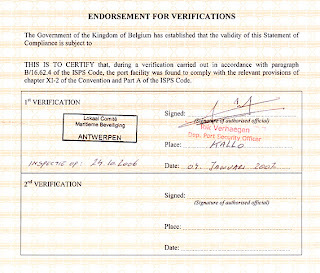 An endorsement which specifies the name of the transferee for the payment of the bill is called special endorsement. Example :- Mr. Tanu makes endorsement by writing the word "Pay to Mr. Sidu or order and signs it. It is a special or full endorsement. An endorsement which restrict the further negotiation of the bill. Example :- "Y" the holder of the bill, makes an endorsement on the bill saying to pay "X" only. It means "X" cannot negotiate the bill further. If the bill purposes to be endorsed for a part of the amount payable, the endorsement is called partial. It is legally ineffective. Example :- Mr. Anthony holds the bill for ten thousands and endorses infavour of Mr. Qazi for Rs. 5 thousand and also in favour of Mr. Hyden for Rs. 5 thousand. It is a partial and invalid. Under the negotiable instrument, when an endorsee give up some of his rights it is called facultative endorsement. The endorsee is relieved of his duty by giving the notice of dishonour to the endorser. The endorser remains liable to the endorse for non-payment. Example :- Pay Mr. Mash or order, notice of dishonour waived is a fluctative endorsement. While endorsing the instrument endorser expresses that he would not be liable for any expenses incurred by indorsee or any holder, in case of dishonour of the instrument the endorsement is called sans recourse. Example :- Mr. Jhon endorses a bill to Miss. Sarah by writing pay Miss. Sarah or order sans recourse. The drawer of a cheque can stop the payment of a cheque by informing the banker either on the telephone or through message. The banker will suspend the payment. 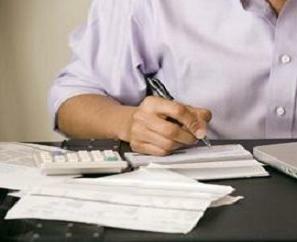 The banker can refuse to make the payment of a cheque if his balance is not sufficient to cover the cheque. While over draft facility case is different. The banker can refuse to make the payment of the cheque which bank is not according the instructions of the drawer or it is presented after the office hours. A drawer may get a particular cheque marked from his banker. The banker will retain the amount in order to honour the marked cheques. Bankers always honours these cheques first and other cheques at the end. If the bank is doubtful about the signature of the cheque then he will refuse the payment. The banker will terminate the payment of a cheque if he receives the notice of the customer's death. If the court is satisfied that the customer appears to be insolvent. It will issue a receiving order and banker will refuse to make the payment. If the banker is satisfied that his customer by breach of trust is crediting the trust funds to his account the banker may refused to make the payment. If the cheque is torn or cancelled the banker may refuse the payment for a cheque. If the cheque is post-dated the bank will honour the cheque. If the amount stated on cheque differs from the amount expressed in figures, the banker will refuse the payment of a cheque. If a cheque is lost or stolen and drawer informs the bank well in time, the bank will refuse to honour the cheque. If the endorsement in the cheque is irregular the bank will not make the payment of the cheque. If the cheque is not drawn according to the account holders instructions, or at the death of one party, the banker can refuse to make the payment, and he will decide about the payment according the instructions. The banker will not make the payment unless the cheque is signed by all the partners. The death of partner dissolves the partnership. At the time of opening an account company provides a copy of resolution passed by the directors. According to the resolution authorized person can operate the account. If unauthorized person draws a cheque the banker will dishonour the cheque. Cheque : It contains order to pay. Promissory note : A promissory note contains promise to pay. Cheque : In case of cheque there may be three parties, the drawer, drawee and payee. Promissory note : In case of promissory note are only two parties, the maker and the payee. 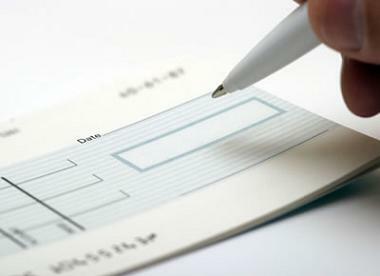 Cheque : Cheque is used because it is a simple and easy medium of exchange and serving of metalic money. Promissory note : It is used for receiving and giving credit. Cheque : A cheque may be crossed. Promissory note : A pro-note cannot be crossed. 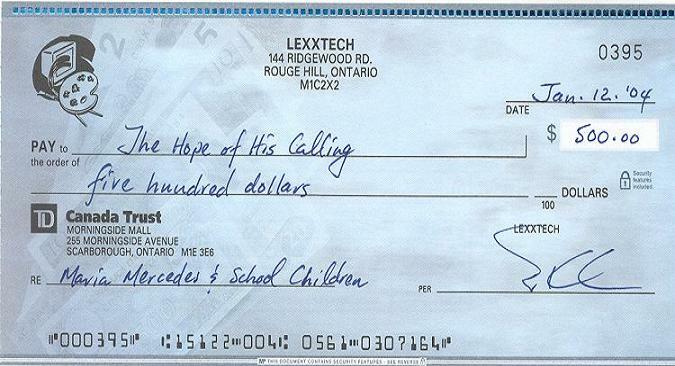 Cheque : A cheque is often drawn as payable to bearer. Promissory note : A pro-note cannot be drawn payable to bearer. Cheque : Its payment can be stopped by giving the notice to the bank. Promissory note : A pro-note payment can not be stopped if once issued. 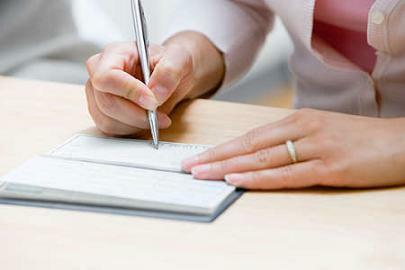 Cheque : In case of cheque when it is dishonoured, the drawer is liable. Promissory note : In case of promissory note liability is primary. Cheque : It is drawn on a printed form issued by a particular bank. Promissory note : Promissory note may be drawn on any paper and there is no need of any particular form. Cheque : A cheque is always drawn to a particular bank where account is available. Promissory note : A promissory note can be drawn on any person. Cheque : In case of cheque drawee and payee can be the same person. Promissory note : In case of pro-note there are two parties and maker cannot be the payee. 1. It is always drawn on a specified banker. 2. It is immediately payable on demand without any grace. 3. It does not require acceptance. 4. Its drawer is not discharged by the holder's failure to present it in due time unless the bank fails. 5. It may be crossed. 6. Notice of dishonour is not necessary when a cheque is not met. 7. No nothing and protesting is required. 8. The banker is protested if he pays a cheque under forged endorsement. 1. It may be drawn on any body including a bank. 2. It may be payable on demand or at a fixed date. 3. It requires acceptance unless it is payable on demand. 4. It is entitled to three days of grace. 5. Its drawer and endorsers are discharged from liability. If the holder fails to present it to the acceptor at a due date. 6. It can never be crossed. 7. A notice of dishonour must be given. 8. Nothing and sometimes protesting is required. 9. No such protection is afforded to a drawee in case of bill. Bill of exchange : There are three parties in the bill of exchange. Promissory note : There are two parties in the promissory note. Bill of exchange : It is written by the creditor. Promissory note : It is written by the debtor. Bill of exchange : In a bill of exchange it is an order. Promissory note : In a pro-note it is a promise to make the payment. Bill of exchange : It must be accepted by the drawee before. Promissory note : It requires no acceptance. Bill of exchange : In this case notice of dishonour must be given by the holder to the concerned parties. Promissory note : In case of promissory note there is no need to serve the notice to the maker. Bill of exchange : A foreign bill must be protested in case of dishonour. Promissory note : Protect is not needed in case of pro-note. Bill of exchange : A foreign bill can be drawn in sets. Promissory note : A pro-note cannot drawn in sets. Bill of exchange : The drawer is liable only when the acceptor does not honour the bill. Promissory note : The liability of pro-note maker is primary. Bill of exchange : A bill can be drawn if it is not drawn payable to bearer on demand. Promissory note : A pro-note can not be drawn payable to the bearer. Bill of exchange : In this case drawer or payee may be the same person. Promissory note : In case of pro-note the drawer can not become the payee. Bill of exchange : In this case the drawer of accepted bill stands in an immediate relation with the acceptor and not the payee. Promissory note : The drawer of the pro-note stands immediate relations with the payee. Bill of exchange : The acceptance of the bill may be conditional with the holders consent. Promissory note : A pro-note cannot be made conditional. Bill of exchange : In this case provision relating to presentment for acceptance is applicable. Promissory note : Such provision is not applicable in case of promissory note. A written order of a depositor upon a bank to pay the designated party or the bearer a specified sum of money on demand. The person who draws the cheque is called drawer and the person whom the payment is made called payee. The bank will be called drawee. The cheque must be in writing. It can not be oral. The order to pay must be unconditional. It must be signed by the maker. The amount in the cheque must be certain. It must be payable to specified person. The payment should be of money only. It must be payable on demand. It is an order of a depositor on a bank. The cheque which is an order upon a commercial bank by its client who has already deposited money with it is also called customers sight draft. These cheques are used where the drawer of the cheque is not trust worthy. It is that cheque on which the payment is guarantee to the payee by the drawee bank. When the cheque is presented to officer of the bank he writes certified or accepted on the face of the cheque. The cheque is honored whenever it is presented to the bank. It is drawn upon a bank by its own officer for meeting the expenses of the banks. A person who wants to transfer a certain sum of money may use bank money order. The person has to pay the amount of the money order plus a bank fee and receives the registered cheque from the bank. He then signs the cheque, fill in the name of the person and then forward the cheque to the payee. These cheques enables the tourists to meet the expenses of their trip. These are not only acceptable by the issuing bank but also by the merchants and hotels inside and outside the country. The procedure is simply to pay the bank amount of the order and the bank commission. The bank will issue cheques on which the value is already printed. The guarantor has to sign all the cheques issued in the presence of issuing banker. A draft is a cheque drawn by one bank upon another bank ordering to pay the payee. Bank drafts are commonly used inside and outside the country for the transfer of money. 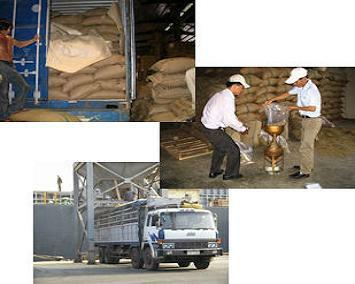 It has also helped in financing the foreign trade. A crossed cheque is paid only through the bank. The paying bank is to make payment strictly according the instructions conveying by a crossing. 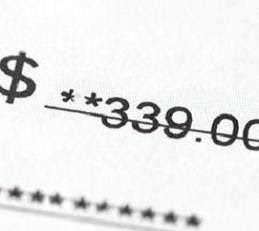 Generally parallel lines are drawn on the face of the cheque. It is an unconditional written promise by one person to another in which the maker (Payer) promises to pay on demand on any future date, a stated sum of money to the specified person or to the bearer of the instrument. The promise to pay must be in writing. Oral promise will not be considered. Promissory note must be signed by the maker or payer. The promise to pay must be unconditional. If it contains a conditional promise, it is not a valid. Example :- I promise to B one lac after the death of A. The amount to be paid must be definite in terms of money, for example I promise to pay one thousand two hundred and fifty paisa 1200/50 only. 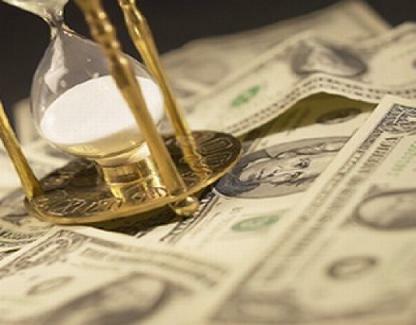 The promissory note must be payable on demand or at a fixed determinable future date. The promissory note must be payable to the bearer or to specified person. Example :- A promissory note payable to the principal of the college is regarded as payable to certain person. 1. The promise to pay must be lawful. 2. The pro-note must be properly stamped. 3. The stamps must be cancelled. 4. The date must be mentioned. 5. The place must be stated where it is made. The word "Negotiable" means transferable by delivery and the word instruments means written documents. It entitles a person to a certain sum of money. In simple words we can say it is a written document which is transferable from one person to another by delivery. According to contract act it is defined as , "A negotiable instrument means a promissory note, bill of exchange or cheque payable by order or bearer." Example :- Cheques, Bill of Exchange and Promissory Notes are the important examples of negotiable instruments. It is the basic condition of the negotiable instrument that it is always in writing. It can not be verbal. It is an unconditional instrument if any condition is attached then it can not be called negotiable instrument. It can easily transferable from one person to another. In these instruments right of ownership passes either by delivery or by endorsement. The amount of the instrument is payable on demand or at any predetermination future time. The amount must be written on the instrument and it is always payable in terms of money. The amount written on it is payable to the bearer or to a specified person. It can be very easily used for the payment of debt. It is very simple and convenient method of payment. A cheque or Note gives the right to the creditor to recover the written amount from the debtor. He can recover this amount by himself or he can transfer this right to another. If there is a defect in the title of the previous holder it does not affect the holder in due course. So it is abetter little than others. In case of transfer of property the general concept of law is that "No body can transfer a better title than that of his own." But in case of instrument this law does not apply. A negotiable instrument even got in good faith from thief is better title. It is also a characteristic of negotiable instrument that specified and definite amount is written on the instrument. Following are the important rules regarding the delivery of good. When goods are sold then delivery can be made by symbolic, actual or constructive way. It depends upon the parties that which way they adopt. The seller should deliver the goods on a specified date. If the time is not fixed then delivery should be with in a reasonable time. Both the actions should be at the same time. The buyer should make the payment and seller should deliver the goods in exchange of payment at the same time, just like the cash sale on the customer of a super stores. A delivery of goods should be at a specified place mentioned in the contract. Example :- "X" agrees with "Y" to supply furniture on 38-Tipu Road Ahmadabad. "X" is bound to supply the goods on the same place, where parties made contract. The expenses of putting the goods into deliverable state must be born by the seller, otherwise as the parties agree. Example :- "X" sells the T.V to "Y". The expenses of packing the T.V will be born by the seller. When seller is required to send the goods to the buyer, the delivery to carrier is considered delivery to the buyer. Example :- "X" sells computer to "Y". "X" handed over the computer to the carrier to be delivered to "Y". it means delivery has been made. A buyer can reject or accept the defective and wrong delivery. In case of rejection buyer is not bound to return it to the seller. Example :- Mr. Imik buys 1000 books of Economics from Khan publishers. Publishers sends 500 books. Mr. Imik may reject the whole or accept 500 and ask for the rest. If the sellers goods are in the custody of the third party, the delivery is not possible until the third party agrees to handed over the sold goods to the buyer on behalf of the seller. Example :- "M" has his cycle in the store of "Y". "M" sells the cycle to "B" and gives him letter to take from "Y". "Y" agrees to deliver the cycle to "B". The buyer is not bound to receive the goods in installments but if the buyer and seller are agree then the delivery of goods may be made in installments. It is the duty of the buyer that he should apply for the delivery of goods. The seller is not bound to supply the goods without the demand of the buyer. If seller fails to supply the goods on demand then he will be held responsible. If some portion of the goods has been made with the intention of delivering the rest of goods then the ownership of the whole goods is deemed to pass to the buyer as some portion is delivered. Example :- "X" sold 10 bikes to "Y". "Y" received 5 and paid their price. "Y" refused to accept the rest 5 bikes. It was a partial delivery. When seller is ready to sell the goods. While buyer is not ready to accept the delivery, then buyer will be liable to the seller for the loss arising due to his refusal. Example :- "X" agrees to sell out ten bags of apples to "B". "B" refuses to take delivery. Apples destroy and "X" suffers a loss. "X" is entitled to claim damages from "B". 1. Buyer himself can intimate the seller that he has accepted the goods. 2. By his any action related to the goods like resale or by pledge. 3. When he retains for a reasonable time, it means he has accepted the goods. According to the sales act, it is defined in the following words, "Delivery means voluntary transfer of possession from one person to another." "Before delivery the goods must be in deliverable state." 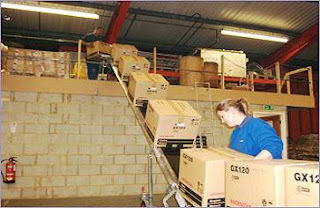 In a contract of sale delivery is an essential element. It is called an actual delivery when a seller delivers the goods physically to the buyer or his agent, to take the possession. If the seller has received the price but does not deliver the goods to the buyer. They buyer can sue the seller for price with reasonable interest. Example :- Mrs. Anu sells a car to Mr. Narain. Car is delivered to Mr. Narain. It will be called the actual delivery. If the key of any store is delivered to any person, it will be considered the goods in the store are also delivered to that person. It is a symbolic delivery. Example :- Mr. Ram sells the car to Mr. Anarta which are kept in the "Show Room". Mr. Ram gives the key of show room to Mr. Anarta. It is a symbolic delivery. When there is a change in the legal character without any visible change in actual and visible custody it is called constructive delivery. Example :- Mr. Andor has bus, which he has rented out to Mr. Nelson. It is in the custody of Mr. Nelson. Mr. Andor sells and transfers complete title to Mr. Hick. The bus remained in the custody of Mr. Nelson. There is no change in the custodian. Here only the title of the property has changed. Now Mr. Nelson agrees to hold on behalf of the buyer. It is called constructive delivery. 9. Delivery In Excess of Quantity. 10. Delivery of Goods of Inferior Quality.